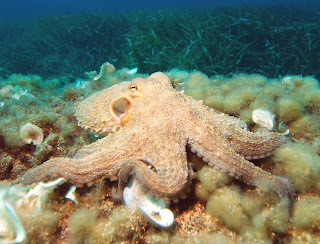 Animal Wildlife | Octopus | The octopus group makes up around a third of the worlds cephalopod population, with around 300 species found in waters around the world. The octopus can be found in the all the worlds oceans, with the octopus ranging in size from a just few centimeters to number of feet depending on the species of octopus! 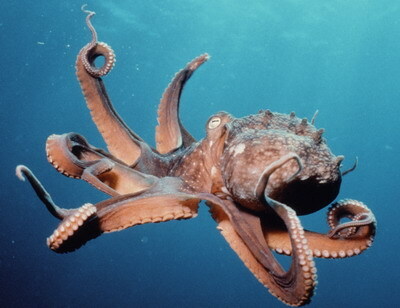 The octopus often has a sharp beak, and an octopus will always have eight arms (unless any have been lost). Most species of octopus generally have arms with circular sucker pads on. 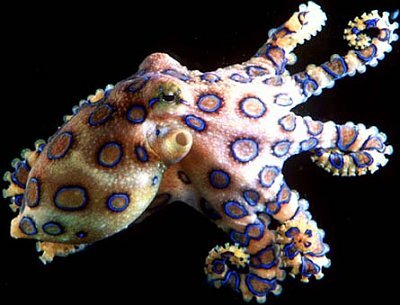 The lifespan of the octopus depends on the species of octopus, with many species of octopus averaging around 6 months old. Some species of octopus however, particularly the bigger octopus species, can live for a few years. The octopus is well known for being a master of disguise and is able to blend into pretty much any background using its elaborate camouflage. 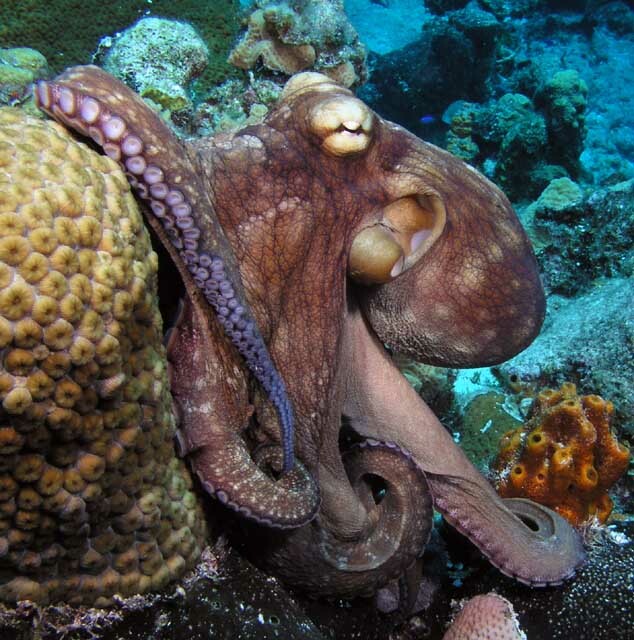 The octopus not only uses this to its advantage for both hiding from potential prey and predators, but it is also thought to play a role in the male octopuses mating display, in order to attract a female octopus. The octopus is also thought to have three hearts, two of which are used for pumping blood through the gills, and another for pumping the pale blue blood of the octopus through the rest of the body.